A strong brand is the ultimate competitive edge that you can ever achieve in a crowded marketplace. Are you getting started with selling on Amazon? Do you have difficulty getting consistent sales and raving fans for your products? In this blog post, we'll look at the most important reasons for building a brand with your FBA business. And we'll also cover some practical and effective tips for building a strong and authentic Amazon brand in 2018. Reason #1: Distinguishing yourself in the marketplace. Building a brand helps you distinguish yourself from crappy duplicates. Once a product is fairly successful on Amazon, various sellers will try to copy it or create fake rip-offs to make a buck. Developing a brand will help you distinguish your product as high quality. Reason #2: Makes it easier to sell your business. Once you've established yourself in the marketplace and are able to consistently generate sales for your products, you might want to sell the whole business off for a lump-sum amount. If your products are not trademarked and you are not properly distinguished in your niche, it makes it hard for a buyer to take charge of your business and sustain it in the future. On the other hand, if your brand is well-established, you can even charge more while selling your business. Reason #3: Customers will come to you instead of you going to them. With a well-built band, the customers come to you instead of you going out of your way to hustle and market to them. Of course, using effective marketing strategies will improve your sales in the long run but having a solid brand reduces the need for desperate promotion. Reason #4: Customers will be willing to buy multiple products from you. A good brand will invoke trust from the customers. As a result, they will be willing to buy more than one product from you. So your ROI per customer will be higher than normal. Reason #5: Higher probability of successful product launches in the future. Once you have a loyal fanbase of raving customers, they will be eager to buy more products from your brand. The famous article 1000 True Fans by Kevin Kelly reflects this insight. With a good brand, you can expect your existing customers to line up for buying your latest products. This will generate a lot of traffic, sales, reviews and eventually rank you higher up for your keyword on Amazon. In essence, it is easier to create the snowball effect when you have a good brand. Reason #6: Higher prices, higher profits. With a strong brand, you can charge more for the same product and customers will still choose your product over the competitors. That is one of the beneficial perks you get from building a good brand. Tip #1: Be a big fish in a small pond. It’s better to be a popular brand in a small niche rather than being a small brand in a popular niche. This particular business insight has been shared by various marketing moguls like Eric Ries in “The 22 immutable laws of marketing”, Tim Ferriss in “Tools of Titans” and Geoffrey Moore in “Crossing the Chasm”. As they say, the riches are in the niches. So select your niche based on the profitability of products, competition, ease of distinguishability etc. Tip #2: Have "insert cards" with your products. Ask the supplier to add an “Insert card” along with your product. An Insert card is a separate card (typically small) that you can use to ask the customers for their e-mail ID in exchange for something like a warranty or additional offers. You can then add those email Ids to your list and send them valuable offers, instructions, quality content etc. Tip #3: Use social media and influence marketing. This particular strategy is super hot right now. Instagram influencers can deliver instant targeted traffic to your product at reasonable price. If a person/entity has an Instagram page with loyal followers who are engaged with their content, you can pay the person/entity a sum to put your product directly in front of their followers. The followers will translate their association to the influencer to your product/brand as well. This may require some research and practice but once you get used to it, this is a golden strategy. Tip #4: Have your own website. This is not necessary for selling products on Amazon as a brand but it’s unbelievable how much a professional website can add to your brand’s quality and authenticity. It doesn’t take much time to setup and also you can use it to gather e-mail addresses or sell outside of Amazon (especially for private-labeling). Tip #5: Protect your assets. Once you start getting a good amount of sales per day, you can trademark your products/brand to protect yourself legally. To make it more official, register your brand officially with Amazon. This will protect your products against cheap copycats that try to cut down your profits. Go to Amazon Brand Registry for registering your brand with Amazon. Tip #6: Create product lines. Find complimentary products that go well with your main products. Try introducing combo offers. These products should be addressing multiple needs of the customer around a common problem area. The more closely-related products you have, the more valuable your brand will become. If marketed well, all these individual products will feed traffic to each other and grow your brand radically. For a complete step-by-step guide on how to get started with selling on Amazon, check out The Amazon Method course. 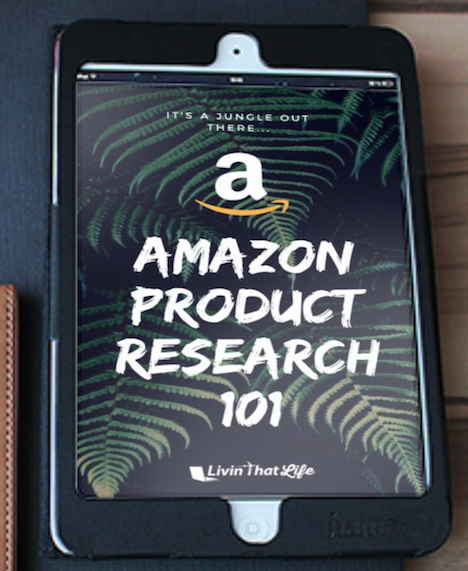 You will find a lot of testimonials from people who got started with their first product on Amazon and are now making a pretty nice side income of $1000+ every month.